Being on location is like being at War - long periods of boredom interspersed with brief periods of activity. As much time is spent on maintenance as in the water. 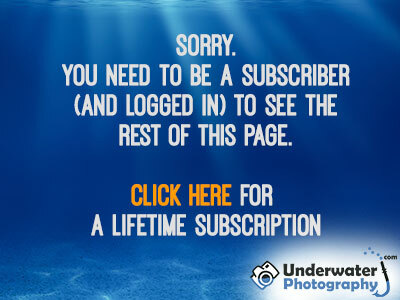 There are always more things to go wrong than right with underwater photography. Planning, preparation, and developing a routine are an important part of the process. Despite all your best efforts however, you must resign yourself to not only making mistakes, but also making the same ones again and again!